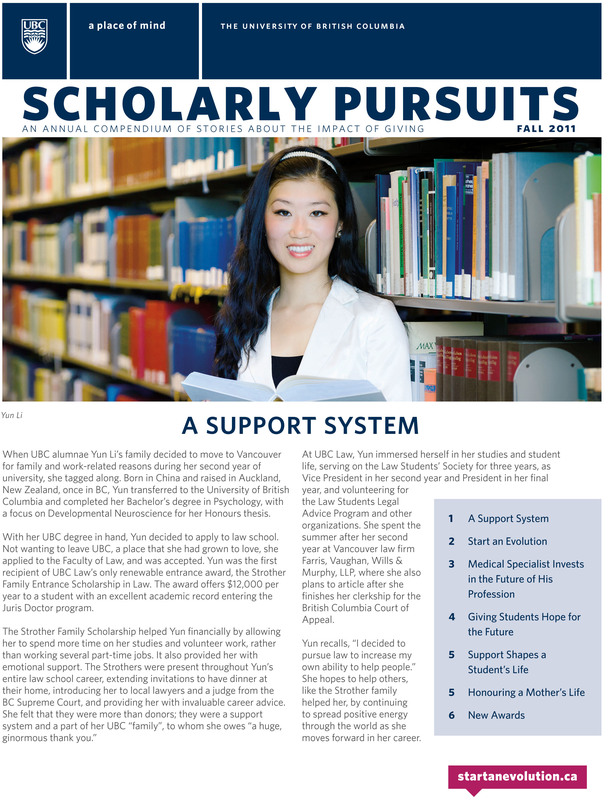 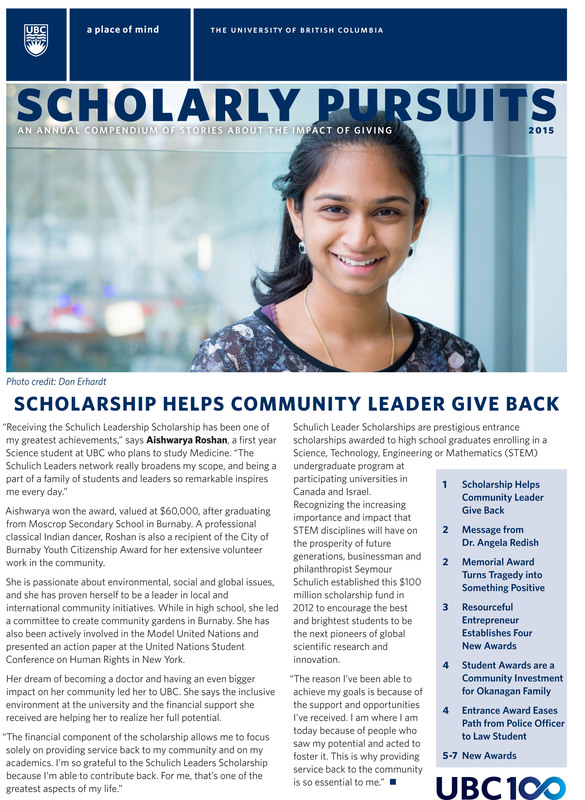 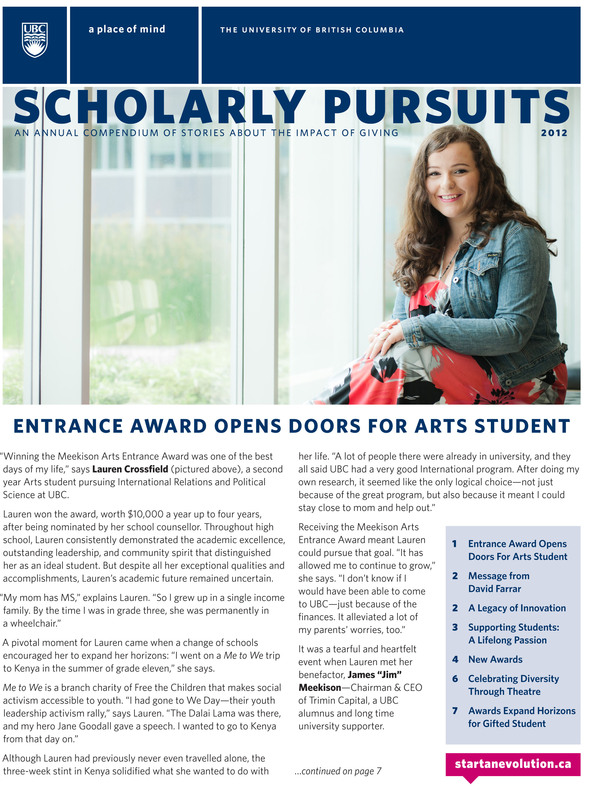 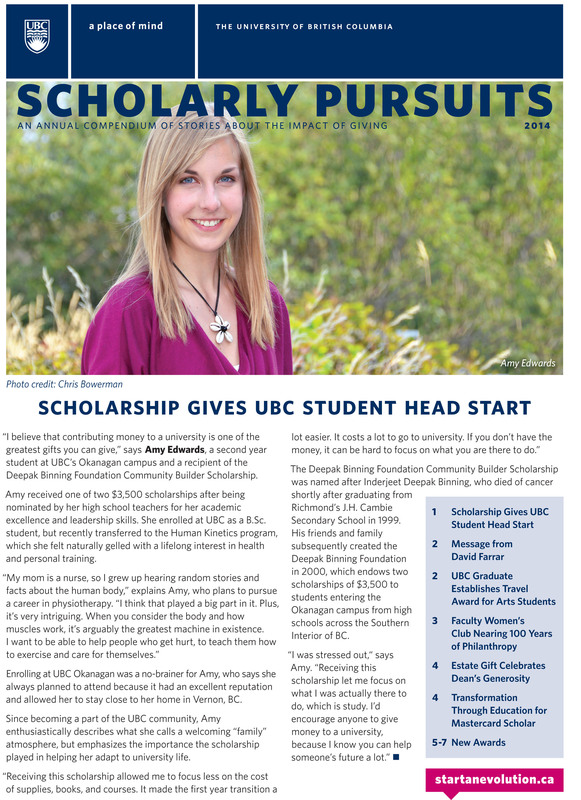 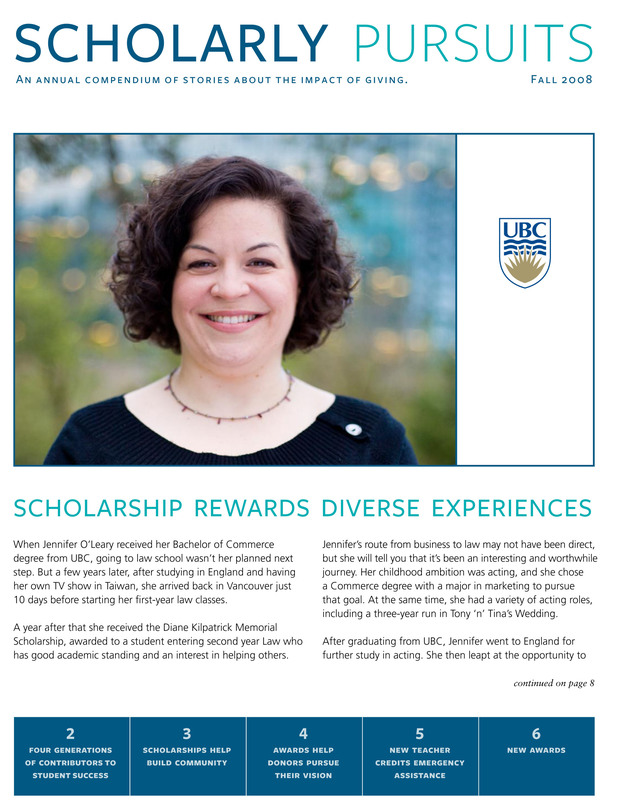 Scholarly Pursuits is UBC’s annual magazine featuring stories about people who have established awards at UBC, information about different ways of giving, and the impact that legacy gifts have on students, teaching and research at UBC. 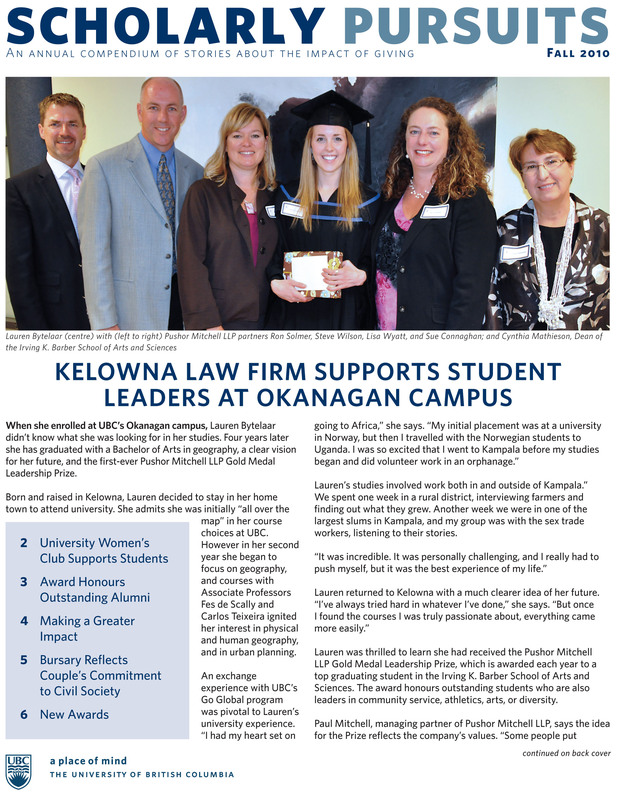 Please click on the icons below to review past issues. 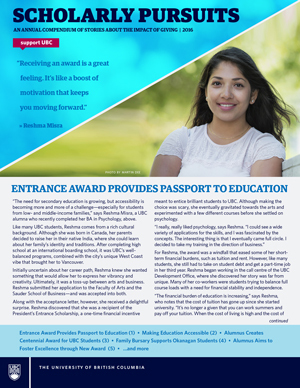 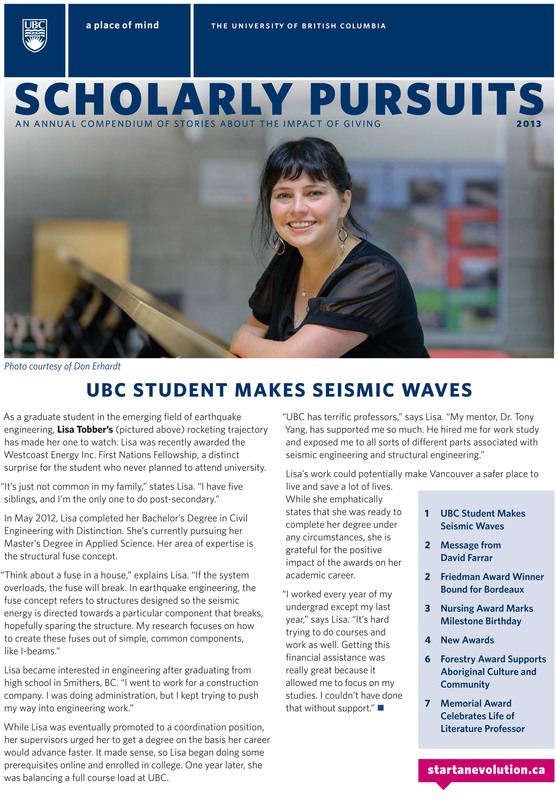 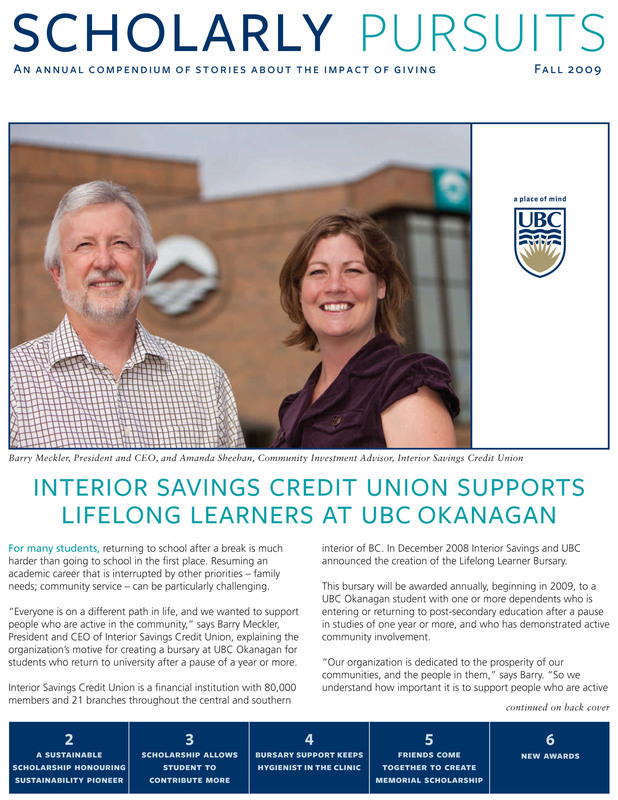 If you’d like to read the latest UBC awards magazine, Changing Worlds, please go here.